Dice asparagus and turkey into bite sized pieces. Put eggs, milk and flour into a blender. Blend until smooth. Put 1 tsp. of oil in pan over med. heat. Spread oil evenly around pan. Pour 1/4 of batter into pan or just a very thin layer of batter. Cook for about 3 min. and flip. 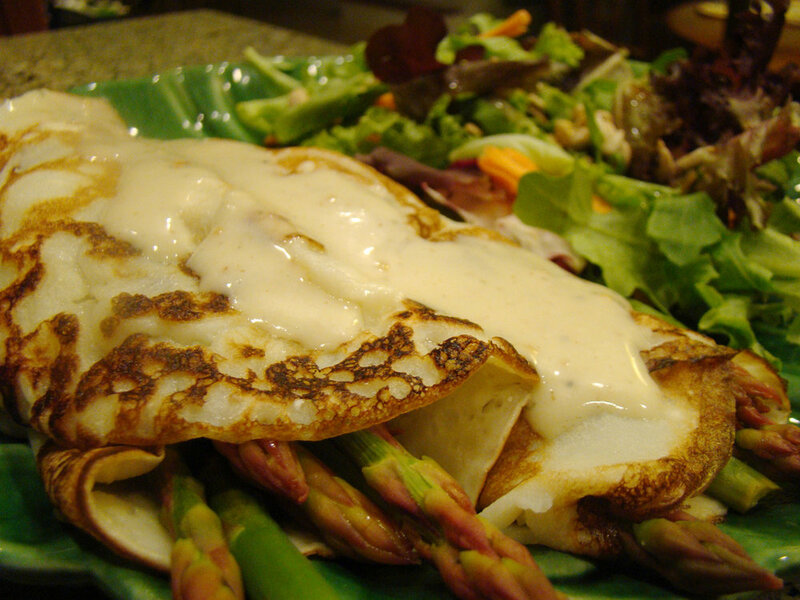 Immediately put 1/4 of the turkey and asparagus on 1/2 of crepe. When crepe is done cooking fold 1/2 crepe over the half with asparagus and turkey. Sprinkle 1 tsp. of cheese ver crepe and serve.